Chevron's decision to end its relationship with two Ogilvy agencies after it "uncovered a serious, material conflict of interest" calls attention to the challenge firms continue to face sorting client conflicts. Chevron's decision to end its relationship with two Ogilvy agencies after it "uncovered a serious, material conflict of interest” calls attention to the challenge firms continue to face sorting client conflicts, agency leaders tell PRWeek. “The industry has blithely blundered along on the conflict issue, and I'm just glad [Ogilvy] wasn't us,” says one agency CEO. “All agencies are confronting and struggling with conflicts as the definition becomes more broadly defined,” explains another agency leader. On the surface, the termination appeared to result from the actions of one account director. Felipe Benitez from Ogilvy PR gave a presentation about “Strategic Communications for Environmental Defense” to Amazon Watch, a nonprofit that represents indigenous peoples in the Amazon Basin. Amazon Watch supports a decades-long, multi-billion dollar lawsuit that claims Chevron subsidiary Texaco is responsible for environmental damage to the Ecuadorian rainforest. Sometime after Benitez's May 9 presentation, the multinational energy giant terminated its contract with both Ogilvy PR and Ogilvy Government Relations. The latter was a key lobbying firm for Chevron in the US on a number of issues, including the lawsuit in Ecuador that recently expanded to Canada. Earlier this week, an Ogilvy representative cited a "personnel matter" for the split, but did not name Benitez. Before Benitez joined Ogilvy last July, he led a team of communication pros that counseled the government of Ecuador, according to his LinkedIn profile. Multiple sources told PRWeek that, in addition to the conflict itself, the firing had as much to do with how Ogilvy handled the situation after it was brought to their attention as it did with the actual incident. In the above statement, Chevron uses the phrase “uncovered” to describe the discovery of the conflict, suggesting Ogilvy didn't consult Chevron about having one of its staffers speak to Amazon Watch. Amazon Watch, of course, is not a competitor of Chevron. But its interests are diametrically opposed to those of the multinational energy company. One large agency CEO says clients have become more understanding about conflicts, but at the same time the global nature of business has made competition more intense. “Conflicts are no longer just about competing product brands,” explains the CEO. Conflicts today can be issue-based, so when it comes to a major topic that a client is passionate about, agencies cannot straddle both sides. “There may be no wrong or right answer [to which position a firm takes], but in these kinds of cases, agencies have to make a choice either way,” the CEO says. Mike Paul, president and senior counselor at MGP & Associates PR, says such a situation likely eroded client trust. “We are supposed to be an example to our clients about how to operate and handle ourselves, and if we're not transparent and accountable in our own communications to clients, then they should find someone better,” he says. Paul adds that, for Chevron to react the way it did, smaller issues probably led to this event. “Or, this was such a breach of trust they felt they had no choice but to end the relationship,” he says. 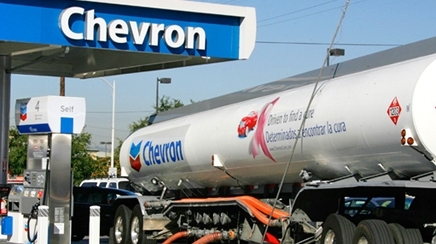 Chevron's decision has reverberated at major PR firms. One agency chief says it prompted him to meet his senior staff and speak about the importance of knowing what their employees are doing, from events they're speaking at, to their posts on social media. “Employees have the right to free speech, but they need to get consent about things that might have to do with a client,” says the CEO. At the same time, senior staff needs to be aware of topical issues, says another CEO. That's why he ensures any hires to his leadership team must be well read, so they're abreast of top-level issues facing clients. Chris Graves, global CEO of Ogilvy PR, declined to comment for this story.